Eriskay's first claim to fame was on 23rd July 1745, when Bonnie Prince Charlie stepped ashore from a French ship, his first step on Scottish soil. When the MacNeil Clan fell on hard times in 1838 and had to sell Eriskay (along with Barra, South Uist and Benbecula) to Colonel Gordon of Cluny, one of the vile rich who cleared their lands of people because sheep were more profitable. 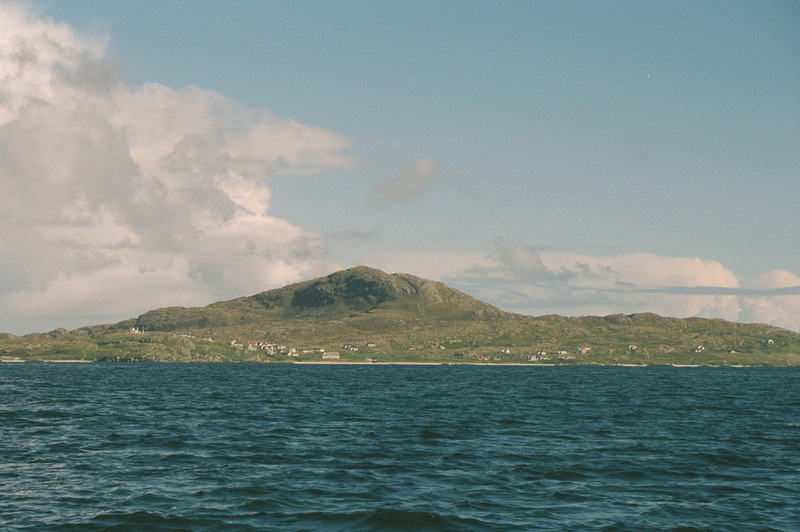 Ironically Eriskay's land was too poor even for sheep, so the displaced populations of the other islands settled on Eriskay. Eriskay has its own breed of pony - said to be the rarest pony breed in Europe. In 1941 the SS Politician sank off Eriskay with thousands of cases of Whisky aboard, which the locals unsurprisingly took advantage of. The Whisky Galore story was born. The local customs man, scandalously had the wreck blown up to prevent the locals liberating any more whisky! Some "Polly" Whisky has found its way to Am Politician pub - to look at, not to sample. 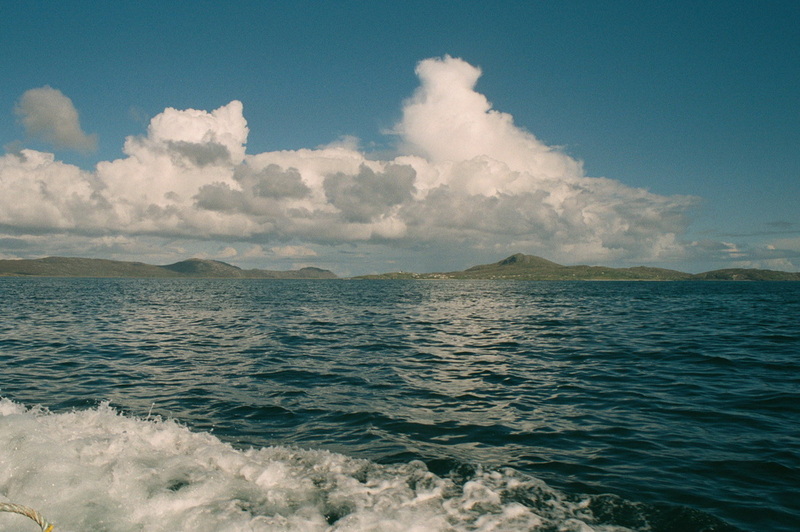 The 1949 film Whisky Galore was however filmed on Barra. 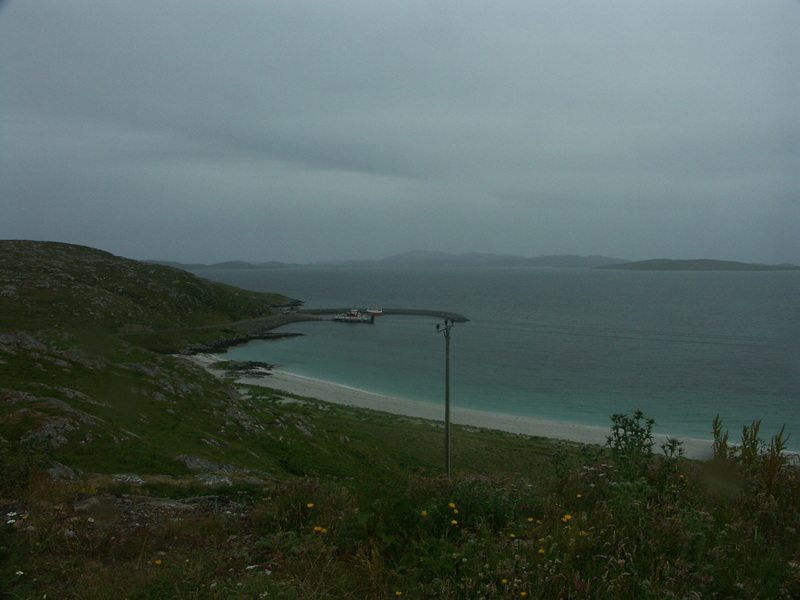 Eriskay is the Whisky Galore island, so for that reason alone it would be wrong to omit it from this site, even though my only experience of the island is a wet afternoon in July 2005, which culminated in my breaking my Cycle Computer outside the island's pub. 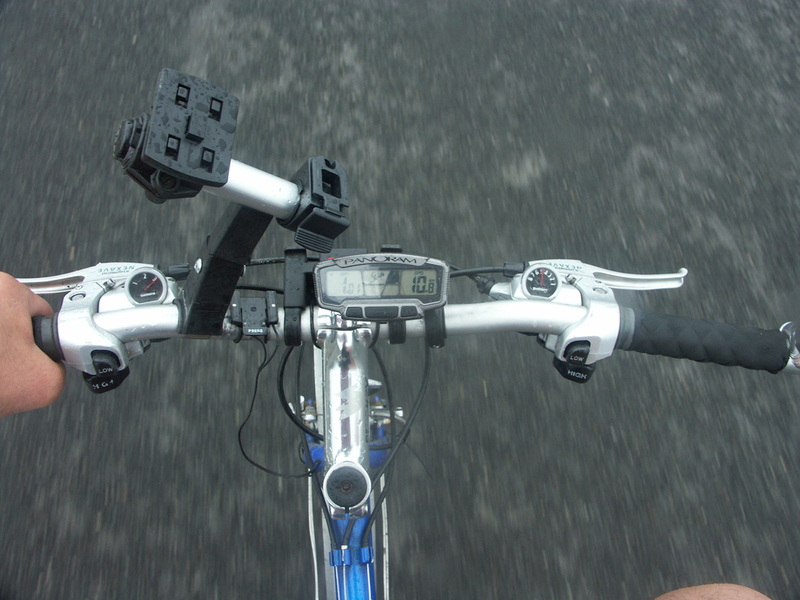 Open Cycle Map Bing Map Sustrans Map (search Eriskay, South Uist)(Some Maps may give place names in only Gaelic or only English, so spellings may vary). 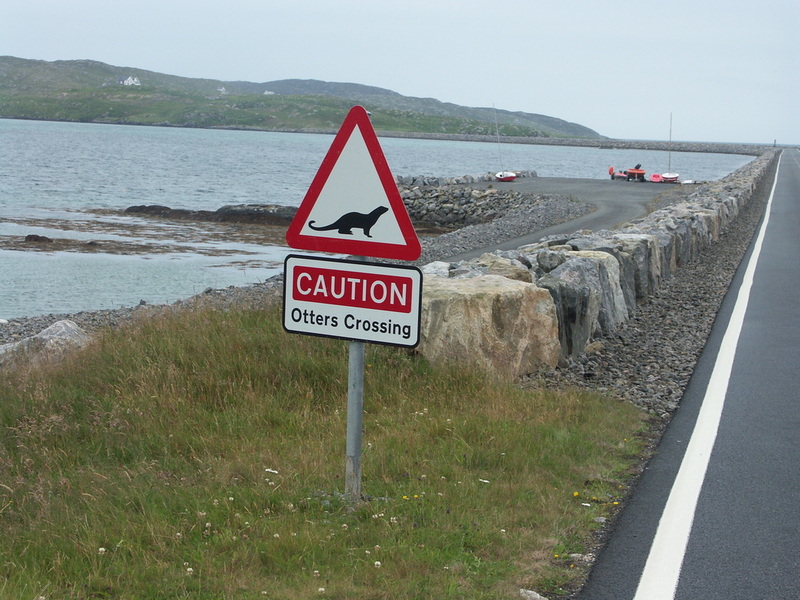 By CalMac ferry from Barra (timetable Winter Summer). 5 sailings each way each day in Summer, 4 (2 on Sundays) in Winter. 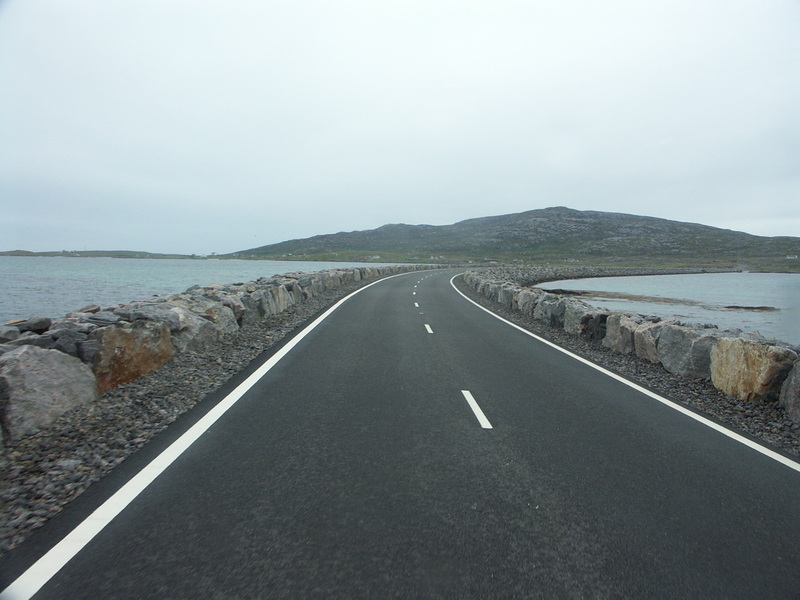 Or by road from South Uist using the Causeway opened in 2001. Banking - RBS in Lochboisdale (South Uist) with ATM.